Most precious metals ended lower Friday yet still posted weekly gains. Palladium stood out with a very sharp daily loss just two days after notching a record. Gold not only climbed on Friday it logged a more than three-week high settlement. Gold for April delivery added $5, or 0.4%, to finish at $1,312.30 an ounce on the Comex division of the New York Mercantile Exchange. The settlement was the highest since Feb. 28. "Along with gold, traditional havens for capital like U.S. bonds and the Japanese yen have been rallying while risk markets like stocks (particularly in Europe), and commodities (particularly copper and crude oil) have been under pressure," MarketWatch quoted Colin Cieszynski, chief market strategist at SIA Wealth Management. "I think this change in risk tolerance and investor sentiment may continue through next week and well into April at least," he added. "Seventeen market professionals took part in the Wall Street survey. Twelve participants, or 71%, described themselves as bullish for the week ahead. There were four voters, or 24%, who see sideways prices, while just one respondent, or 6%, called for a retreat. Meanwhile, 572 respondents took part in an online Main Street poll. A total of 387 voters, or 68%, called for gold to rise. Another 127, or 22%, predicted gold would fall. The remaining 58 voters, or 10%, saw a sideways market." Elsewhere, silver for May delivery dipped 3 cents, or 0.2%, to close at $15.407 an ounce. On Thursday, silver ended at a more than one-week high. Silver futures gained 0.5% this week after slipping 0.2% last week. They are 0.9% lower on the year. April platinum declined $12.70, or 1.5%, to $848.40 an ounce, for a 2% weekly increase. Palladium for June delivery sank $42.40, or 2.7%, to $1,515.50 an ounce, for a 0.2% weekly loss. On Wednesday, the metal scored its third straight record settlement at $1,551.90 an ounce. Both metals are higher on the year to date with gains of 6% for platinum and 26.6% for palladium. Gold rose $1.70, or 0.1%, to $1,311.30 an ounce. Silver declined 8 cents, or 0.5%, to $15.46 an ounce. Platinum fell $19, or 2.2%, to $853 an ounce. Palladium dropped $50, or 3.1%, to $1,554 an ounce. In LBMA results for the week, palladium dipped 0.1% while the others registered increases totaling 0.6% for gold, 0.7% for silver, and 2.6% for platinum. 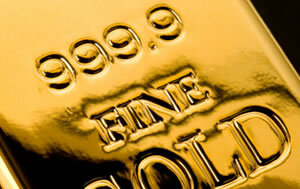 Gold bullion coins jumped by 3,000 ounces after rising by 10,500 ounces last week. Splits included 1,500 ounces in American Gold Eagles compared to 7,000 previously and 1,500 ounces in American Gold Buffalos against 3,500 ounces previously. Silver bullion coin sales finished flat this week. Splits last week included 850,000 ounces in American Silver Eagles and 400,000 ounces in Lowell 5-ounce silver coins. American Platinum Eagle rose by 1,000 ounces after climbing by 2,000 ounces last week.